“Love is a Many-Splendored Thing” – so say the words from the 1955 movie of the same name. You’ve chosen your lifetime partner (hopefully!) and now the time has come to decide on a romantic wedding venue to celebrate the best day of your life with friends and family. If you live near London or within easy travelling distance of Turner’s Hill near Crawley in the heart of Sussex, then Alexander House is certainly worthy of your serious consideration. Alexander House is a beautiful and imposing early-Jacobean manor house is also a luxury hotel with almost 60 gorgeous rooms and suites. Set in 120 acres of dramatic countryside, there is certainly no shortage of eye-catching backgrounds for your memorable wedding photographs with lovely manicured grounds, unique private spaces and a stunning reception suite with its own private garden, terrace and outdoor wedding gazebo. The construction of Alexander House dates back to the early 17th century, and has connections to the famous poet, Percy Shelley, and a former Governor of The Bank of England. It wasn’t until 1984 that the mansion came to be named Alexander House, and several years later, in 2006, the hotel and spa opened. Alexander House can accommodate civil ceremonies with up to 90 guests, and reception parties for up to 200 guests, with both indoor and outdoor hospitality spaces available – presenting options for larger or smaller celebrations. This 5-star luxury hotel and award-winning spa is a great venue for elegant and sophisticated wedding ceremonies, receptions or both! The impressive exterior of the mansion exudes grandeur, while the interior boasts amazing contemporary styling. Again, a fabulous choice of backdrops here for your unique wedding pictures. Let’s take a look at the choice of hospitality rooms: The bijou Asquith is ideal for intimate and personal wedding ceremonies with space for up to 10 guests. The slightly larger Churchill Room is perfect for up to 16 guests, whilst the Shelley Suite is a great option for larger weddings. This elegant and luxurious space has its own private gardens and terrace, so you and your guests can either dance the night away inside, or step outside to celebrate under the stars. The exclusive Gazebo is located outside within the beautifully-maintained gardens, and so what better place to host your wedding than this luxurious outdoor marquee. This light and spacious setting is excellent for large parties. You and your partner deserve a wedding day that is nothing less than perfect. At Alexander House you can exchange vows or celebrate in a setting that you will never forget – with my stunning photographs an everlasting reminder of your Special Day. 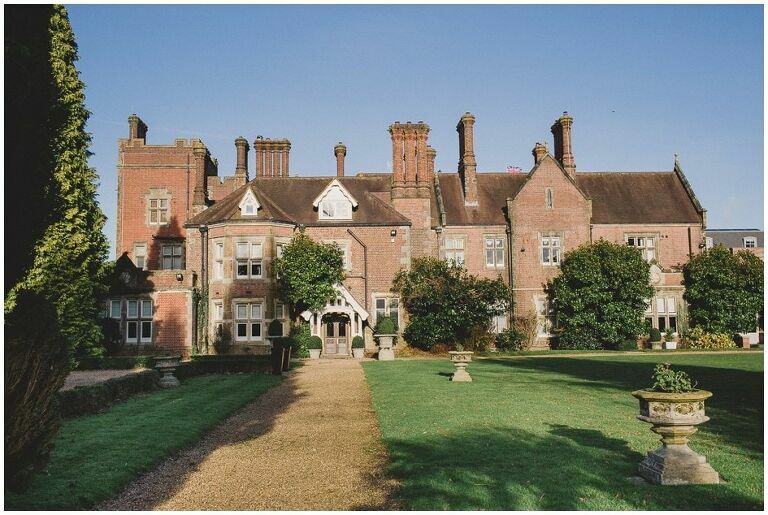 Have you looked at other wedding venues in Sussex? If you’d like to enquire about my availability for Alexander House please get in touch here.